Candyfloss Machines for hire for the fun food you'd normally only find at the fair. 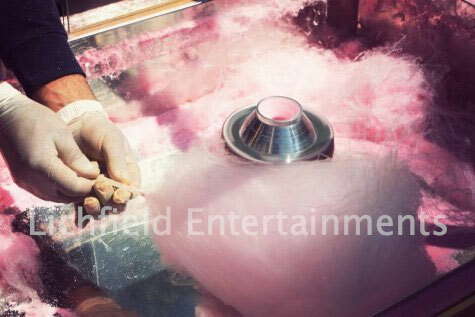 Our Candyfloss machines are available for hire either staffed or on a DIY basis. 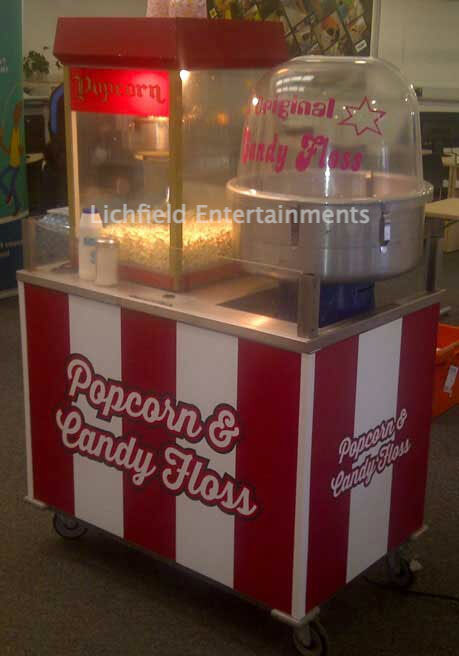 The Candyfloss Machines are supplied with the ready to use mixture and either serving sticks or paper cones depending on your preference. Candyfloss is available in either the normal Pink Vanilla, Blue Raspberry, or Banana flavours. For a quotation please contact us with details of your event together with the numbers to be catered for and whether you'd like the item staffed or not.